Nine business events have been confirmed as part of the International Festival for Business (IFB) 2014, taking place in Liverpool next June. 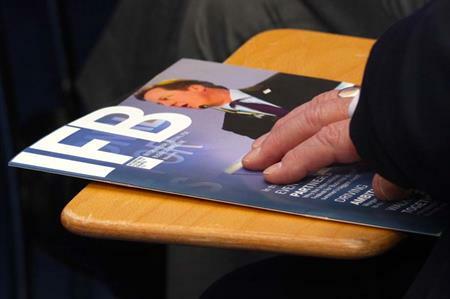 IFB 2014, a global showcase of British industry, will host hundreds of events in June and July 2014. It is a key part of the government’s ambition to promote economic growth, rebalance the economy and double UK exports by 2020. Max Steinberg, Chair of IFB 2014, said: "The IFB will be the most important international business event for Britain in 2014 and it is happening here in Liverpool. Through partnerships with the Confederation of British Industry, UKTI, British Chambers of Commerce and the Federation of Small Businesses, IFB 2014 will appeal to businesses across the UK and beyond, from small firms to large corporates, and from pubic to private sectors. "It will be a showcase of everything that is brilliant about international and British business, bringing 250,000 visitors to Liverpool next year." Event and Exhibition Partners, organisers of the Interntaional Festival for Business 2014, recently launched a major recruitment drive. Masterplan: James Gower, managing director, Event and Exhibition Partners, reveals his thinking behind the International Festival for Business 2014.